Planning overseas immigration? So, you must be clear with your immigration objectives and involved procedure by now. Not sure? Well, it’s the high time to set your goals and explore the right pathways.Choosing the right immigration program or visa category is absolutely vital when you are planning immigration to another country. Preparation for moving abroad is quite essential, particularly in view of complex immigration process and guidelines. These days, several advanced nations have made their immigration rules and procedures tougher to control the number of immigrants in their respective countries. Many times it has been observed that the immigration applicants, who were underprepared got stuck midway. They either don’t receive the invitation to apply for the visa or get the error in their submitted applications. As a result of their long-time dream of overseas immigration shatter miserably. Also Read-What is Success Secret of Visas Avenue as the leading Immigration Consultancy Firm in India? Knowledge is the first thing you look to acquire when planning to move abroad. Obtain the knowledge and understanding of the immigration procedure of the country you are moving to.Exploring the benefits, lifestyle, and settlement options are also a key part of planning immigration strategy. The other key thing you need to prepare is documentation. You first need to check and explore the document checklist for the overseas immigration. Once the whole checklist is explored and noted, it’s time to gather the documents and prepare the immigration file. Now choose the immigration program or visa category, which you want to choose for immigration to your desired immigration destination. 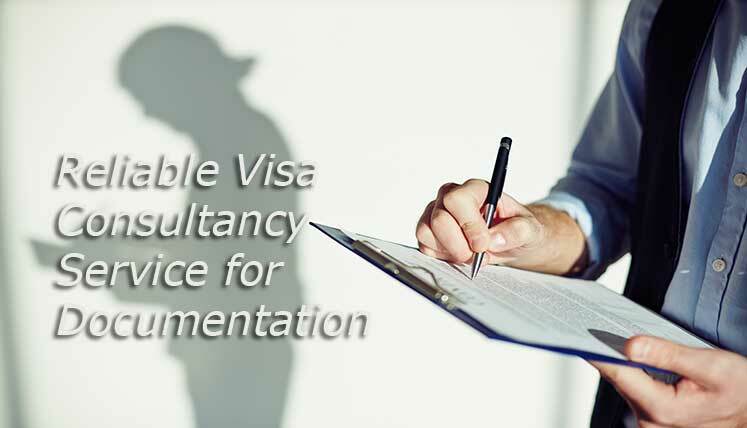 If you are new to immigration process and formalities, you may take the services of a genuine and trusted Visa and Immigration Consultancy Company. Visas Avenue immigration is one of the leading Immigration Documentation Consultancy Firm in India. It every year helps the vast number of visa applicants in immigration documentation process of Canada, Australia, New Zealand, Germany, USA, UK, etc. countries. Visas Avenue has got an excellent record for winning visa approvals for its clients aka visa applicants. It provides some vital services with regards to immigration, i.e. application pre-assessment, visa filing, documentation support, follow up of the application, etc. Hence, it has been the key force behind many immigration success stories. Headquartered in New Delhi, Visas Avenue immigration has branches across the length and breadth of India, i.e. Bangalore, Mumbai, Hyderabad, etc. You can contact Visas Avenue immigration to get the inclusive documentation process assistance to apply for a visa in your destined country. To contact Visas Avenue certified immigration expert you may call the Toll Free Number- 78-18-000-777alternatively, forward your immigration associated queries along with your profile details to Visas Avenue-mail id- info@visasavenue.com.